Snoring and sleep apnea often go hand in hand. Loud snoring is a common identifier of sleep apnea, as well as a bothersome side effect. Many cases of sleep apnea go undiagnosed because the sleeper is unaware of the nighttime symptoms, like snoring. Our experts encourage treatment for sleep apnea and other sleep disorders because these often lead to even more detrimental disorders. Where Does Snoring Come In? Snoring is one of the most obvious signifiers of sleep apnea. Your partner will probably notice your snoring before you do. You may be entirely unaware of it! Snoring results from the same narrowed airway, and the more obstructed your breathing, the more disruptive and loud the snoring. Certain things can exacerbate snoring, including smoking, alcohol and sedative use, and obesity. Maintaining a healthy diet and exercising can help keep both snoring and sleep apnea at bay. If these prove not enough for you, call and schedule a consultation with our experts. With proper treatment, both snoring and sleep apnea could be things of the past. If you suffer from any of these symptoms and suspect you have sleep apnea, our experts can help determine the presence of the disorder. Unfortunately sleep apnea is not that easy to pinpoint. Our expert will first inquire about any disruptive symptoms and your medical history. Occasionally, a patient is referred to a sleep disorder center where a sleep specialist monitors breathing during sleep. 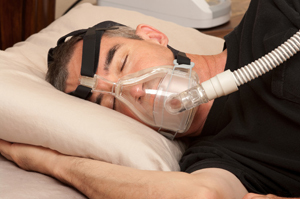 Home testing for sleep apnea is more convenient and affordable for patients. If our experts suspect you have sleep apnea, you will be provided with a home sleep test. These tests are simple and measure blood oxygen levels, heart rate, and your breathing patterns during sleep. Blood oxygen levels plummet during apneas, and home test results will note these aberrations, affirming the presence of sleep apnea. If you have sleep apnea, our expert may refer you to other specialists like an ear, nose, and throat doctor to provide more focused treatment. For questions regarding sleep apnea or to schedule a consultation or sleep test, call our office today. At its core, sleep apnea disrupts the quality of your sleep. Many people may not realize sleep apnea, in addition to sleep disruption, can wreak havoc on your daytime life and overall health. Sleep apnea is often directly related to an increased risk for diseases involving the heart and blood circulation. If you suspect you have sleep apnea, our sleep disorders expert suggests seeking treatment as soon as possible. Listed below are some of the most common consequences of leaving sleep apnea untreated. Daytime Sleepiness - It is hard to ignore a sleepy feeling setting in during the middle of your day. This complication of sleep apnea can lead to an increased risk for car accidents. If you work at a factory or use heavy or sharp machinery at your job, daytime sleepiness may lead to debilitating injuries. Cardiovascular Diseases - Because sleep apnea often affects blood oxygen levels, your chances of suffering from hypertension, a stroke, or heart failure are high if you leave sleep apnea untreated. Recent studies show that if you have cancer and do not treat sleep apnea, your risk of dying from the disease rises. Serious Medical Conditions - Type 2 Diabetes is often linked to obstructive sleep apnea. If you have asthma, sleep apnea can interfere with your treatments or worsen your preexisting condition. Chronic headaches or migraines tend to result from sleep apnea. Psychological Damage - Sleep apnea often leads to depression and other serious psychological issues. If your sleep apnea is severe, chances are, your depression will be severe as well. No one wants to live life facing these consequences. If you have sleep apnea and require treatment, our experts will consult you on your available options. Obstructive sleep apnea (OSA) is the most common type of sleep apnea and affects many people from all walks of life. This type of sleep apnea stems from a blocked airway and leads to breathing interruptions during sleep. If you have OSA, you probably experience insomnia, frequent waking during the night, or loud snoring. You may even stop breathing for seconds on end while you sleep. Our experts are more than prepared to provide treatment for OSA, but often making some simple lifestyle changes can best alleviate your OSA symptoms. A Healthy Diet - Excess weight around the throat can constrict breathing and result in OSA. Staying at a healthy weight for your body can keep disorders like sleep apnea in check. Consult your regular physician for tips on weight loss. Plenty of Exercise - Studies show that getting a walk or run in for 30 minutes or more a few days a week can alleviate sleep apnea symptoms. Find an exercise program that excites you and fits your lifestyle and schedule. Avoid Alcohol and Quit Smoking - Smoking exacerbates sleep apnea, and alcohol, along with many sleep aids, can cause your throat muscles to relax, resulting in breathing interference. Adjust Your Sleeping Form - Sleeping on your back can result in your tongue slacking and constricting your throat. If you are a back sleeper, try to become a side or belly sleeper, as this can free up your airway and result in fewer breathing interruptions during the night. Breathe Through Your Nose - Using nasal spray prior to sleeping can open up your nasal passages and ensure easier breathing during sleep. Consult your doctor before using any nasal medications, as some of them should not be used long-term. If you have any further questions regarding how to make these lifestyle changes for sleep apnea relief, consult our experts. Nowadays, alternative medicine is used to treat a number of medical issues, ranging from cancer to dementia. Patients suffering from sleep apnea often ask our experts about alternative methods for treating the disorder. Most alternative treatment methods regarding sleep apnea have not been medically investigated or proven viable. Proceed with caution as you learn more about popular alternative sleep apnea treatments. Keep in mind, our expert does not recommend replacing standard sleep apnea treatment with an alternative one. Acupuncture - Several years ago, Brazilian medical researchers published findings involving successful treatment of sleep apnea using acupuncture. In some cases, acupuncture may help strengthen the tongue muscle, making it less likely to relax and obstruct your airway during sleep. Again, this is preliminary evidence, and acupuncture is not a medically proven method for treating sleep apnea. Consult our experts if you are considering pursuing this alternative treatment. Musical Instruments - In the last few years, researchers have investigated the risk of sleep apnea in those who play woodwind instruments. These findings revealed a decreased amount of obstructive sleep apnea in those who played the oboe, English horn, or bassoon. This is no reason to take up music lessons, but it may lead to further developments regarding the benefits of vocal and breathing exercises for treating obstructive sleep apnea. New Mouth and Nose Appliances - In addition to non-traditional alternatives for treating sleep apnea, medical technicians periodically develop or improve upon oral appliances and mouthpieces. One of these new products on the market is called Prevent Sleep Apnea Therapy, which involves small Band-Aids placed over each nostril to ease airways open. The success rate of some of these newly developed products may not be medically proven yet, so consult our expert if you wish to investigate alternative treatments like these. If you have sleep apnea, there is no need to rule out alternative methods of treating it, as they often prove partially or entirely successful in relieving symptoms related to the disorder. Consult our expert in sleep disorders if you would like to know more about alternative medicines for sleep apnea.